On this date in 1669, a French Huguenot agent was publicly broken on the wheel in Paris. While Charles II of England and the Catholic Louis XIV of France maneuvered towards a secret accord that would lead to devastating war against the Protestant Netherlands, Roux de Marsilly was busy in London trying to enlist England into a Protestant alliance against France. Finding the avenues blocked, Marsilly retired to Switzerland and was there abducted by French spies who knew what he was up to. they went to their worke and gave [Marsilly] eleven blows with a barre and laid him on the wheele. He was two houres dying. For all those two agonizing hours, Roux de Marsilly really only merits a footnote in a different story. The mysterious Man in the Iron Mask was first documented in French custody later in the summer of 1669, and he would remain a guest of the Bourbon dungeons until 1703. The identify of this person — or maybe persons, since it’s been argued that there are multiple threads conflated into the one legend — has never been conclusively established, much to the profit of literature. One of the stronger contenders for the crownmask, however, is a prisoner named “Eustace Dauger”, who may in fact have been Roux de Marsilly’s former valet, one “Martin”. The case for Martin-as-Dauger-as-masked-man is made most comprehensively by Andrew Lang in The Valet’s Tragedy and Other Stories. The hypothesis, roughly outlined, is that England and especially France were trying to tie up the loose ends of whatever plots Marsilly had authored, and got hands on his servant to interrogate him about the highly sensitive machinations he might have been privy to. Possibly having established that Martin/Eustace had no actual information to betray, he still remained under lock and key out of some admixture of bureaucratic inertia and the remorseless paranoia of the security state. Crazy. 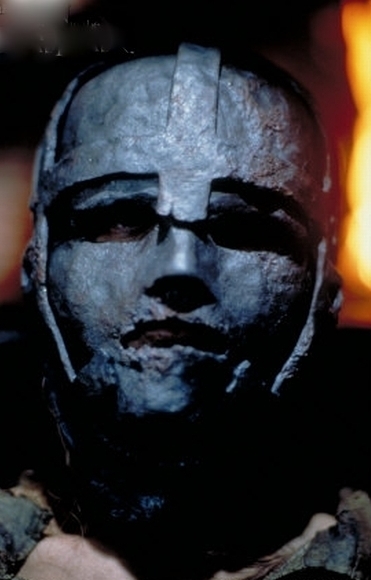 [T]he Man in the Iron Mask (if Dauger were he) may have been as great a mystery to himself as to historical inquirers. He may not have known WHAT he was imprisoned for doing! More important is the probable conclusion that the long and mysterious captivity of Eustache Dauger, and of another perfectly harmless valet and victim, was the mere automatic result of the ‘red tape’ of the old French absolute monarchy. These wretches were caught in the toils of the system, and suffered to no purpose, for no crime. The two men, at least Dauger, were apparently mere supernumeraries in the obscure intrigue of a conspirator known as Roux de Marsilly. Marsilly was publicly tortured to death in Paris on June 22, 1669. By July 19 his ex-valet, Dauger, had entered on his mysterious term of captivity. How the French got possession of him, whether he yielded to cajolery, or was betrayed by Charles II., is uncertain. … By July 19, at all events, Louvois, the War Minister of Louis XIV., was bidding Saint-Mars, at Pignerol in Piedmont, expect from Dunkirk a prisoner of the very highest importance–a valet! This valet, now called ‘Eustache Dauger,’ can only have been Marsilly’s valet, Martin, who, by one means or another, had been brought from England to Dunkirk. It is hardly conceivable, at least, that when a valet, in England, is ‘wanted’ by the French police on July 1, for political reasons, and when by July 19 they have caught a valet of extreme political importance, the two valets should be two different men. Martin must be Dauger. * And, of course, for the Catholics and Protestants in England. This struggle would come to a head in due time, to the grief of the Stuarts.